Elite Athletic Club currently has open dual team available for several of our National travel teams! We have spots available for VAC Holiday Duals in Virginia, Christmas Sparty in Michigan, and Nuway National Duals in Kentucky! 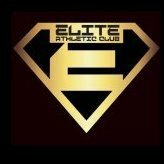 Check out our website (www.EliteAthleticClubLLC.com) with info on each dual team, or text (219-841-1906) and claim a spot as soon as possible! 15 & Under: 3 Periods ~ 1 ½ Minutes (Must be 8th Grade or below) *Plus additional 2lbs allowance. 12 & Under: 3 Periods ~ 1 ½ Minutes *Plus additional 2lbs allowance. 10 & Under: 3 Periods ~ 1 Minute. *Plus additional 2lbs allowance. OPEN WEIGHTS 68, 72, 90, 95, 125, 135, HWT. OPEN WEIGHTS 50, 54, 66, 85, 90, 95, 105, 115, HWT.